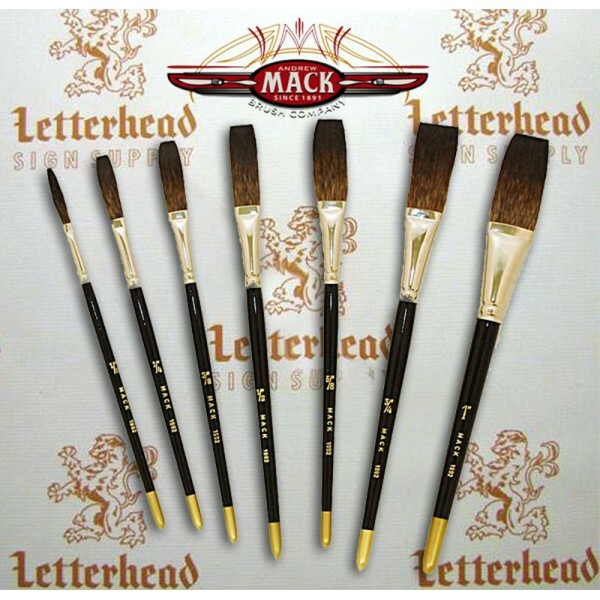 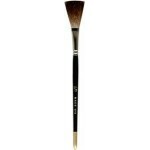 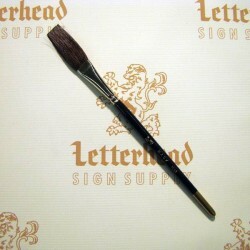 Mack brush flat lettering brush soft stroke brown series-1992 full set, sizes 1/8 inch - 1 inch A soft flat that's a superior lettering brush. 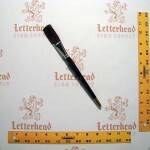 This soft flat has a very clean edge with excellent control. 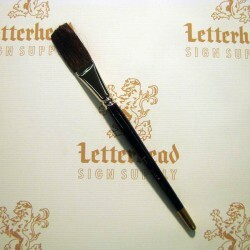 You can letter very quickly and it lays out paint beautifully. 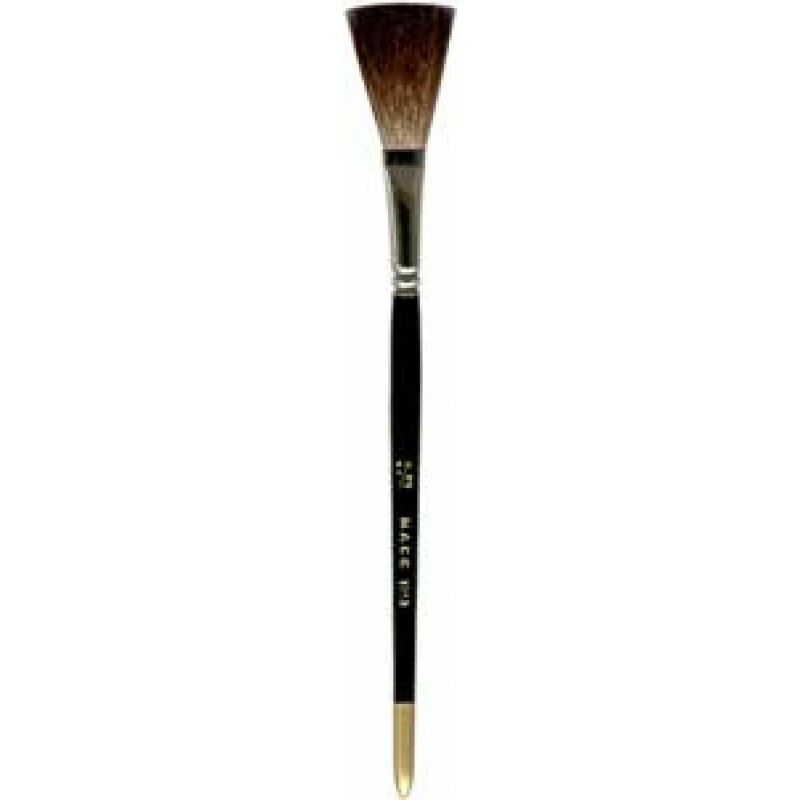 The softer nature of this brush allows you to work on the smoothest of materials such as glass, wood, metals and plastics. 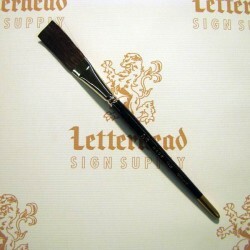 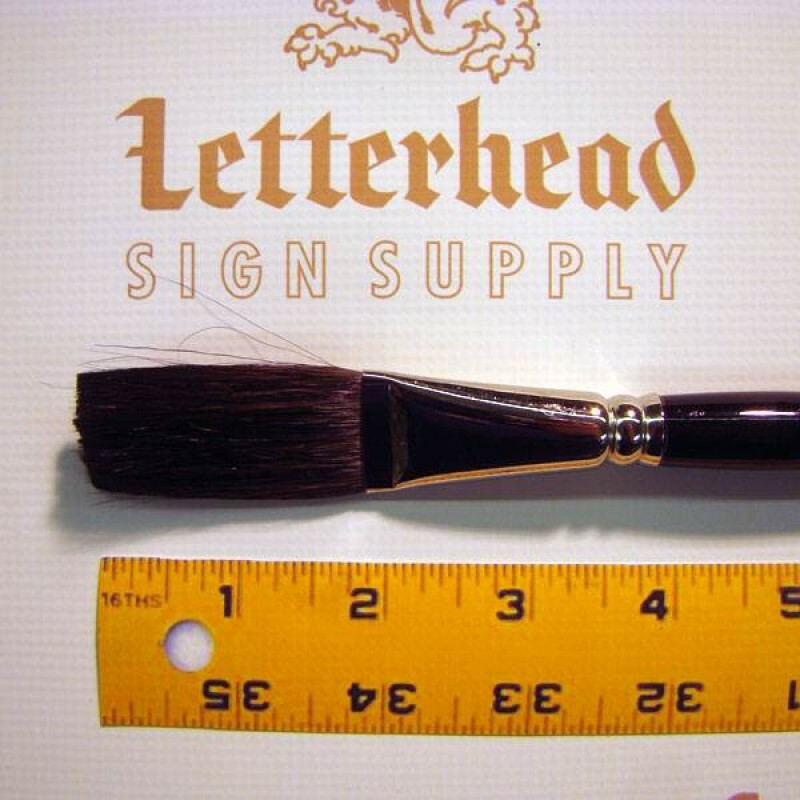 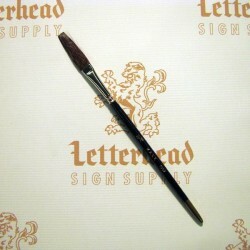 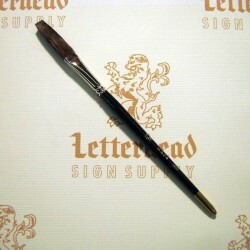 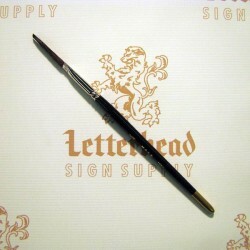 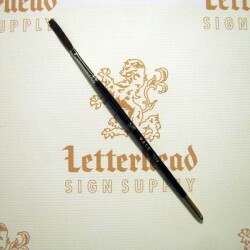 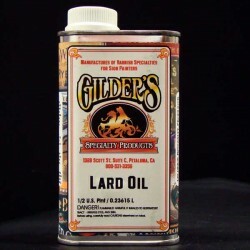 A Favorite for sign writers and pinstripers who prefer soft flats with pure natural hair. These Soft Stroke lettering flats are for smooth surfaces and you should avoid using these rough surfaces, at least that's how it was explained to me by sign painters as a boy, so I use brown flats for billboards, aluminum, glass, trucks-vehicles and the most on painted wood signs (Ron Percell, 2nd generation Sign Artist). 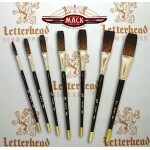 Mack Brush Series-1992 full set of soft black flat, 100% blue squirrel hair, seamless nickel ferrule, long black handle.